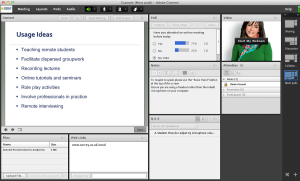 As an Adobe Authorized Training Center, it is vital that we utilize as many eLearning tools in the classroom as possible. With classes now held in 3 locations (streaming online, Fort Collins, and Denver), we rely on eLearning tools more than ever. Let’s first examine the trends of eLearning with Adobe Creative Cloud and understand how Digital Workshop Center fits into that puzzle. Our primary focus over the past several years has been to stream all of our classes live online, which means that we need the eLearning experience to be responsive and mobile. Adobe Connect provides a fantastic option for us to provide both. Why is mobile learning so important? In fact, more than 72% companies are now embracing mobile learning as their preferred mode of learning delivery [source: 2015 Asia-Pacific Skillsoft survey]. This is a huge shift as more and more training is embracing technology, taking place in the field, and more. Furthermore, mobile learning facilitates real-time collaboration enabling social learning where learners can share their ideas with their peers. Mobile learning also supports 70:20:10 Learning & Development framework which states 70% of learning happens on the job at the moment of the need. (20% from interactions with others, 10% from educational events). 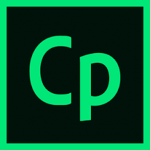 Adobe Captivate is a game changer for any instructional designer or eLearning professional. It uses a simple interface, combined with some of the Adobe graphic and web power to provide an amazing all around application for designing and distributing eLearning content. 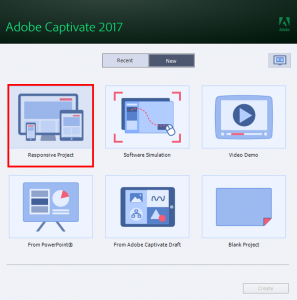 In the newest version (2017) of Adobe Captivate, Captivate Draft has been added into the program as well. Captivate Draft makes storyboarding an easy job; better than ever before. The conventional way of storyboarding was to create the storyboard in one tool and then develop the course using an e-learning authoring tool. This involved the use of extra resources, time, and efforts. 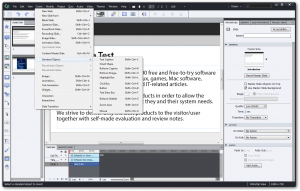 With Adobe Captivate Draft, you can create a storyboard directly in the authoring tool with e-learning objects, question slides, and branching abilities. With the newest release of Adobe Captivate, there has also been a larger emphasis on responsive design. Fluid boxes allow the designer to create content that will respond to the device with which the content is viewed on. Sliders and device previews create an environment that is easy to use and tells the user what the content will look like before it is pushed to the public. Also following the path of mobile learning, this is a huge improvement for both designers and users to access the content from anywhere and on any device. With the ability for Adobe products to integrate easily, and users to collaborate effectively, the Adobe Creative Cloud suite of products is an industry leader for good reason. Whether you are editing your photos in Photoshop, laying out training manuals in InDesign, or creating interactive content in Adobe Captivate, you can lean on Adobe for their eLearning tools. Fill out the form below to request more information about Latest trends of eLearning with the Adobe Creative Cloud or to request information on customized individual or group training sessions.